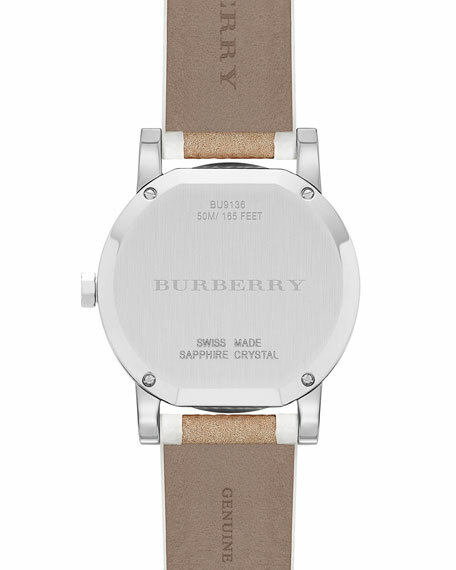 Burberry watch in stainless steel. 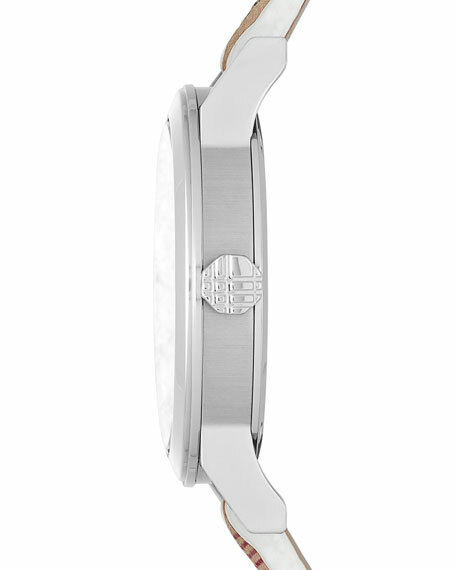 Round case; 34mm (1 1/3"). 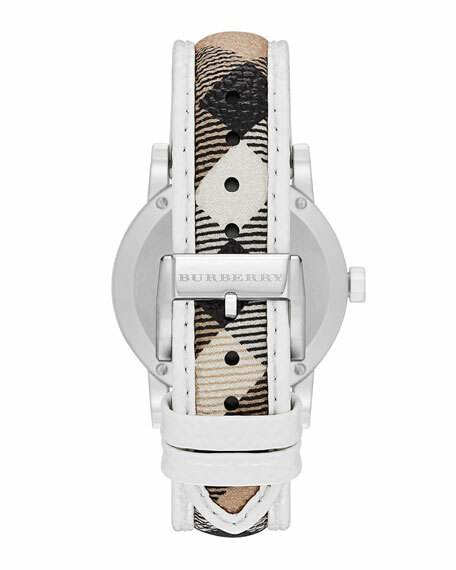 House check PVC strap with leather piping and Burberry logo buckle, 175mm (+/-5). Silvertone check hydraulic stamp dial; date window. Please note: This item is not available in California and cannot be shipped to California. Thomas Burberry opened his shop in 1856, establishing himself as the go-to purveyor for outdoor apparel. His coats, constructed from the water-resistant, gabardine fabric he invented, would earn Burberry the honor of outfitting trench-fighting British soldiers in WWI. After the war, the "trench coat"found its way into civilian life, and soon it became an icon of dapper London style. The trench made Burberry famous, but by 2000 the company had grown into a luxury-clothing juggernaut. 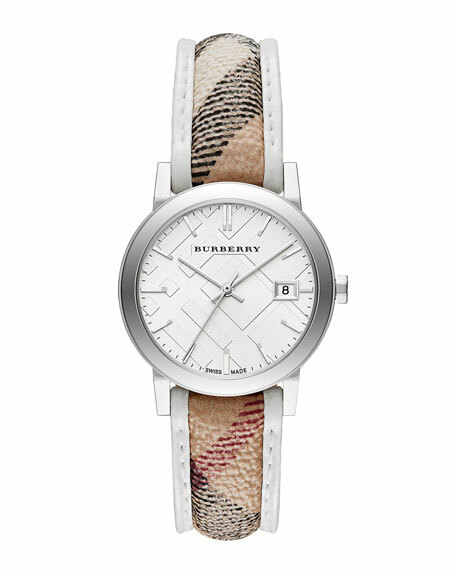 Looking to redefine its identity, Burberry tapped fellow Brit Christopher Bailey as chief creative officer in 2001. Under his stewardship, Burberry introduced the Prorsum, London, and Brit linesand has pulled off a unique feat: looking at the past, and toward the future, while hitting on what works today. For in-store inquiries, use sku #234464.